When your boss/client asks you why your web site can't be found in Google, what are you going to say? You should prepare, because, eventually, that question will be asked. Should you cross that bridge when you come to it? Employ an SEO specialist to "do some stuff", after launch, in order to get the site ranked? Isn't SEO just another marketing function, like buying advertising? In this article, I'll outline why it's a bad idea to treat SEO as an add-on. I'll look at how to roll SEO, seamlessly, into your web strategy. These days, SEO is not a series of easily-repeated, technical steps. 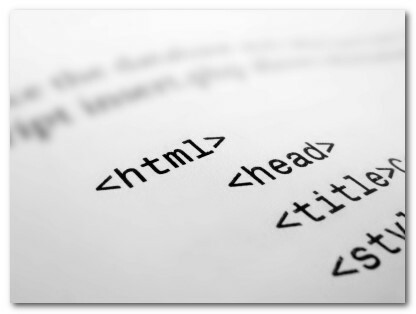 You may have heard that SEO is about adding meta tags. Changing the underlying code. Making a few minor changes to content and submitting a site to a search engine. If you follow this process, your site will be found on the first page of search results. This was true years ago ago. It isn't true now. If that is all you do, chances are your site won't appear on the first page of results. It might not appear until page 72. If at all. The search engines have grown more sophisticated. They look at many different factors, and they don't place weight on meta-tags when determining rank. They look at a variety of factors. One factor is the vote. In search, a link is a vote. In order to get people to vote for your site, you need a site that is link-worthy. And the voting box is rigged. A vote from a huge brand, like Microsoft, for example, is worth way more than many votes from sites few people have heard of. The search engines tend to reward popularity, as determined by other sites. If the information you're providing isn't popular enough, you won't be ranked. In order to get these links, you need to publish pages people will link to. And not just the home page. You need links into internal pages, too. Ask yourself: what sites would you link to? What pages would you link to? Chances are, you're unlikely to link to a competitor. You're unlikely to link to someone else's e-commerce product catalogue. You'll most likely link to pages of note. Pages of reference material, pages of news, and other remarkable content that is noteworthy. That's what everyone else does, not just in search, but in social media, too. Another factor is the quality of your information, which we'll look at shortly. Do You Even Need SEO? If you have a known brand that your existing customers will navigate directly to, you won't need to do much in the way of SEO. So long as you can be found under your brand name, you'll be rewarded. However, if you want to attract new customers, and attract customers away from competing brands, then you need to give SEO serious thought. At very least, you'll need to ensure your site is crawlable. You can participate in the search channel without using SEO. You can buy clicks, using PPC. The downside is this can get expensive, as the incentive for Google is to force click prices ever higher via bid competition. You need to weigh the ongoing cost vs the cost of implementing an SEO strategy. Many people undertake both SEO & PPC, of course, in order to maximize a sites' visibility. You need SEO if a long-term, cheap, visitor traffic stream is important to you. You need SEO if you seek to attract search visitors who may not have heard of your company before. You need SEO if your competitors are doing it, as they'll take your market share, given they have a presence in the channel, and you may not. What is the optimal way to approach SEO? If you've yet to launch a site, or you're planning on launching a new site, you're at a distinct advantage to those who must retrofit an SEO strategy. This is because SEO flows from strategy. It is very difficult to retrofit if the web strategy works against SEO, which can easily happen. For example, Google tends to favor a regularly updated, well linked, reference information publishing model. One example is Wikipedia. Obviously, commercial sites aren't going to look anything like Wikipedia, however there are a few lessons to be learned. The key point is to integrate some form of detailed, text information publishing into your site, which preferably has a reference angle i.e. it's not just a page of sales copy. Take a look at Amazon. Amazon is a product catalog, with a twist. Amazon lets users write reviews. The review text can be crawled by search engines. The existence of review text helps distinguish Amazon from other product catalogs, which to a search engines, would all look pretty much identical i.e. book name, publisher name, price, product description, etc. Search engines tend to relegate duplicate content. So, you should include a section on your site that allows for the regular publication of unique, reference material. For example, industry news, a trade dictionary, discussion forums, blogs, feedback loops encouraging user content and comment, tutorials, user education, and so on. You might decide to split your web strategy across multiple sites. One site is the corporate umbrella site, another site is information based. Your SEO will likely have many ideas on this front, so the key is to involve them early. SEO can be added after a site is launched, but it can be problematic. Possibly the worst case scenario is a brochure site, consisting of thin product information and mission statements. Links don't tend to flow to such sites, and they don't tend to be information rich. Links will most likely need to be purchased, adding to the cost, and the search engines take a dim view of this practice, so it can increase risk if pushed too hard. If your competitors are attracting links without having to buy them, then they'll always be at a competitive advantage, and be very difficult to catch as each day passes. There are a couple of ways around this problem. Create a new section of the site devoted to publication of reference material i.e. industry news, a trade dictionary, glossary, discussion forums, blogs, tutorials, and so on. If the site isn't suited to this approach, consider splitting your web strategy across a number of sites. Neither are particularly elegant, but the important takeaway point is that SEO isn't something that can just be tweaked under the hood. It needs to be an integral part of your site, and these days, that means adopting some form of information publishing strategy beyond simple sales copy. The web is about putting the user first, and search is no exception. Web content is commodity. If your site doesn't have the information the user wants, then there is nothing keeping them on your site, and no reason for them to visit in the first place. There are plenty of other sites. The site that gives the users exactly what they want, wins. Luckily, in search, the user is already telling you what they want. SEO's have a great way of mining this information. 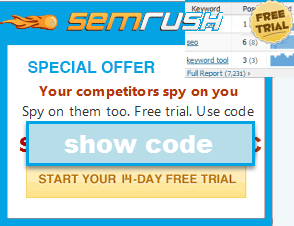 They can access keyword data, collected by the search engines. This data shows what terms users are looking for. You could create an entire web strategy based on this information. For example, let's imagine a site owner sells heating systems. It would pay to know that a lot more people search for "solar heating systems" than "boiler heating systems". Obviously, interest in solar energy is increasing, so the owner may want to feature these products more prominently, and provide news on the latest developments by way of a blog. Keyword research shows a lot of people also want to know about installing heating systems, so the owner may want to provide guidance and/or a nationwide list of installers who install his product. That list of installers could be broken down into regions, which will likely attract regional search traffic. The site owner could encourage his national network of installers to link to his site, especially since he has demonstrated he is happy to send traffic their way. The site owner could also include a glossary of heating terminology, in order to cover every conceivable heating related keyword term. Do the same with your site. Ask "what are the users really looking for?". Ask your SEO to research keyword lists to see what is really on your potential visitors minds. Provide a means to publish this information. Encourage people to link to your site by giving them a good reason to do so. Create genuinely useful content, then have your SEO and marketing teams get out there and hustle that information. This is an integrated SEO strategy, based on the idea of putting the user first, giving them what they want, and encouraging them to share it. Seth Godin wrote a book called "All Marketers Are Liars". In this book, Seth notes that, these days, marketing needs to be integrated into the product from conception. The days of bolting a pretty marketing face on to a generic box, after it comes off the factory line, are long gone. It's the same thing with search. It should flow through your web strategy, just like usability, your message, your brand, and your language. "putting the user first, giving them what they want, and encouraging them to share it" Well stated, Peter. Sums up all the SEO the majority of people ever need to know (I oversimplify, but...). It also underscores clearly that SEO is really just fancy-pants marketing - that summary could easily be talking about just about any successful form of product and service promotion. The thing that makes SEO so attractive IMO, is its cost effectiveness. I can say, at the last gig our online channel had a lower cost per acquisition compared to all the others, every single year I was there...by a lot. Still - the true potential of the web has yet to be grasped there, and it is because they are rooted in forms of traditional advertising and have a tough time seeing outside of it. Shame - they could likely be making much more than they do, but they still box-off the web using blinders put on over 5 years ago. Some will never figure it out. They will be replaced by people who understand marketing. This is the issue. Understanding why things work and why the don't. Many people don't want to take the time to learn about their customers. And certainly not in depth. The just want to sell widgets. Just get me more people to look at my widgets and everything will be fine. This is so true that in these day's SEO become a vast concept and not limited to some modifications and adding meta tags. Today SEO include numerous factors or terms (SEM, SERPs, Robot.txt etc.) which are necessary to be found on the first page of search results.